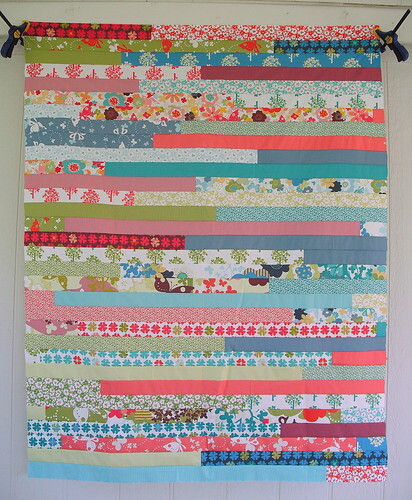 The last project I worked on at the quilt retreat was a jelly roll quilt. More specifically, we had a Jelly Roll Quilt race! And holy cow, was it fun! I used a Just Wing It jelly roll by Momo. I was the only one competing for time in our group, and I was really hoping to beat the fastest time in the video. I ended up matching her time (35 minutes), and to do that I literally stopped maybe twice other than stopping and starting the five seams. I had my foot on that pedal on top speed the whole time! 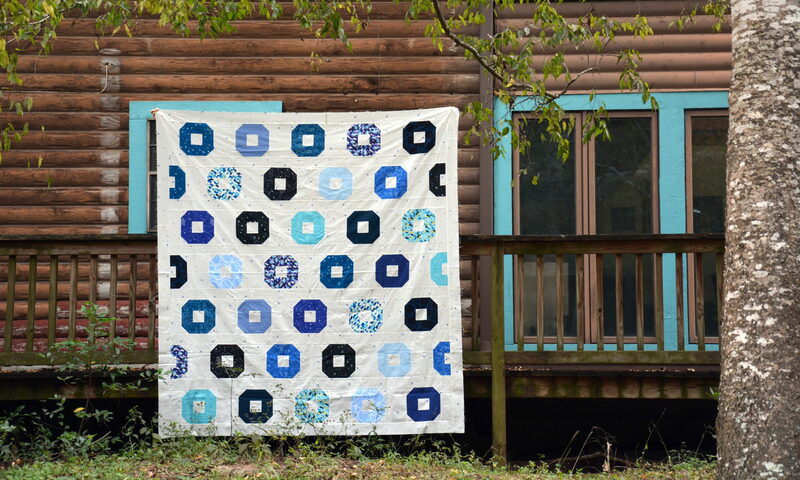 This is definitely going to be my go-to quick quilt for gifts now, and I plan on figuring out how to beat that 35 minute time. Maybe I should become a competitive jelly roll racer. Now I just need some sponsors.... haha!